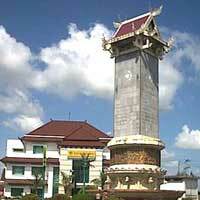 Until now, Balikpapan is known well as the producer of petroleum. 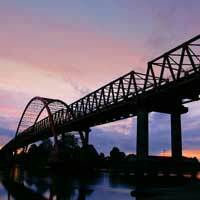 The tourism of this city is as interesting as the industrial sector, though. 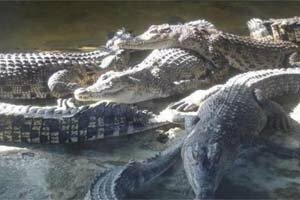 For example is Klandasan Beach, Kemala Beach, Sungai Wain Protected Forest and many other tourism spots you don't want to miss while visiting Balikpapan City. According to the book of F. Valenjin in 1724, he stated that there was a village named Bilipapan located at headwaters of a bay, 3 miles away from the beach. 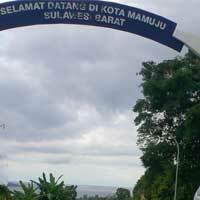 The village is believed as the village near Balikpapan Bay. According to the folklore, the name "œBalikpapan" was taken from Pasir Kuleng tribe's language which is the original tribe of Balikpapan. 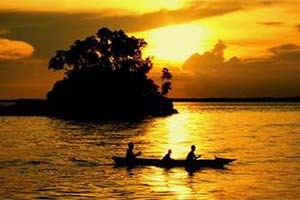 They lived along the beach of Balikpapan Bay and has the same ancestor, Kayan Uleng and Papan Ayun. By the descendants, it's abbreviated into Kuleng Papan. Kuleng in pasir language means Balik. 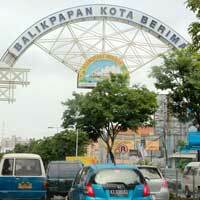 Bekapai Balikpapan Park is a park located at the heart of Balikpapan City. 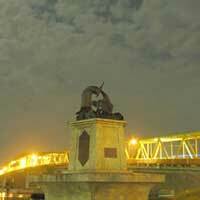 This park has become the proud of Balikpapan citizen for the park is usually used as hangout place at night. Right at the centre of this park there's a bronze statue completed with fountain. If there's ray passing through this fountain, it will form a silhouette like oil spray. There's Bendali Dam which has a function as a flood controller. Though this dam is not one of tourism object, we can see the beauty of natural lake while fishing. 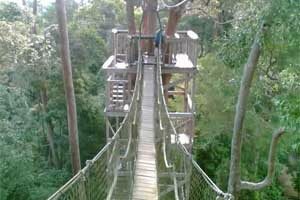 Bukit Bangkirai os one tourism spot located 58 km away from downtown of Balikpapan City. This spot is 1,500 hectare tropical forest. Besides, you can see rare animal which only exist in this forest like drongos (usually called as heaven bird) and enggang bird. Then there's Manggar Segarsari Beach. 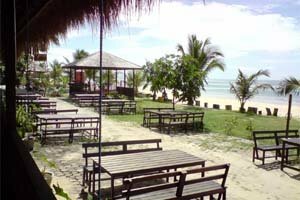 This white sandy beach is one main destination during holidays also weekdays. This beach has clear water and small wave. We can do many kinds of activity here at the beach like beach volleyball, jetskiing, and banana-boat. For you who love seafood culinary, you will be pleased by the typical culinary of Balikpapan City. There's Resto Kenari. The main menu of this restaurant is black pepper crab. This crab is cooked with black pepper and sweet sauce. Then there's special sauced crab, crab cooked with sweet seasoning like sweet sour sauce. It will be perfectly served with particular codiment. Need place to stay in Balikpapan?